TONIGHT ! 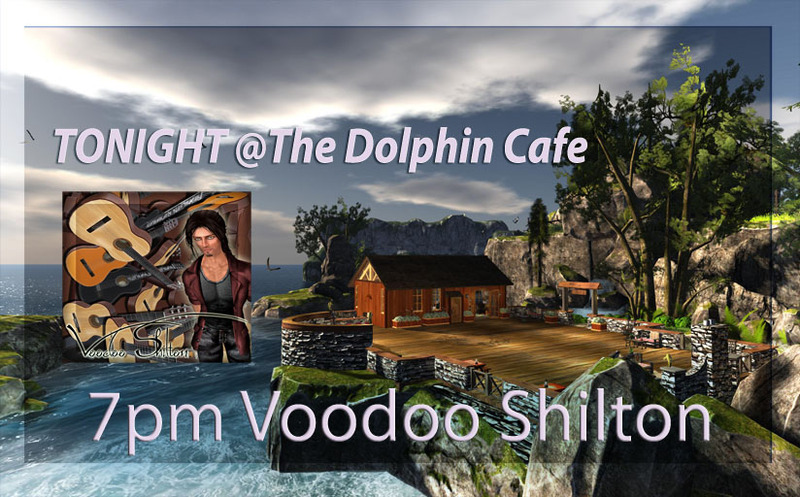 7PM slt VOODOO SHILTON @ THE DOLPHIN CAFE! Join us tonight at 7PM slt as we head over to The Dolphin Café with one of SL’s best singer/songwriters and AVI CHOICE winner VOODOO SHILTON. Voodoo has been performing at ‘CALAS’ from the very start of its live music program. One, if not the very best on a stringed instrument in Second Life. Dress code is Casual / Dressy and we do ask that you keep your scripts under 100.